The most extravagant luxury cars can only be owned by those who have the excessive funds to match. 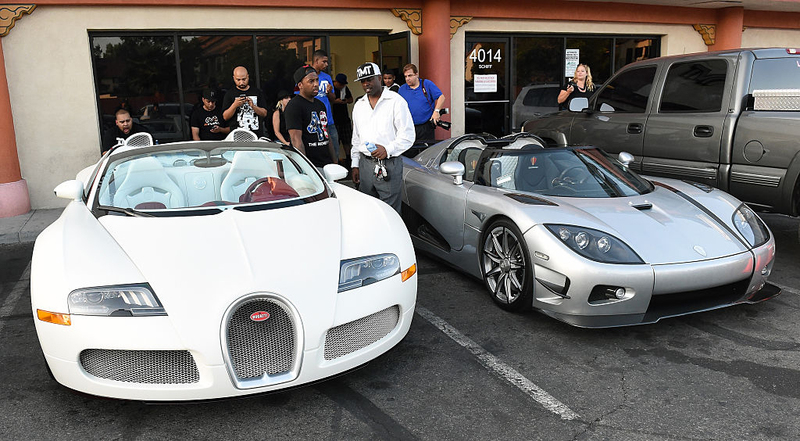 Expensive automobiles have become a hot commodity in the celebrity world, even if they aren’t driving the cars themselves. Equipped with high speed, custom interiors, and sleek bodywork, these celebrity cars are the hottest on the streets. But, they also represent the most exquisite eye-candy and a status symbol. A hot celebrity with a car like that obviously is popular, sought after, successful, and also has more than enough money to burn. Of course, celebrities posing with their beautiful, expensive cars are also looking for attention. They want you to notice.